I honestly think there are few things lovelier than a Saturday all to yourself. But a Saturday with family ranks highest on my list. The last weekend Sara was in town my parents came up to San Antonio for the day. When they come up for the day, I feel like home isn’t that far away. And then I remember that it is actually only a little over two hours with a stop at Bucees in Luling…the busiest gas station in all of south Texas. It’s like Pavlov’s dogs every time I get within three miles of that place. No matter how much water I’ve had to drink during the day, I MUST stop to use one of those clean toilets. Sara, Robert, and I woke up on Saturday morning and headed down to the riverwalk for a run. (Matthew was invited but already had plans. We didn’t just leave him out.) The riverwalk on Saturday morning is one of my favorite places. (I am looking for new Saturday morning running routes – anyone have a favorite?) I love seeing all the walkers and joggers out there and I especially love seeing all the pups on their morning walks. I also love the energy around the Pearl Brewery on Saturday mornings – so many people out walking around, perusing the farmers market…it’s a great place to be. 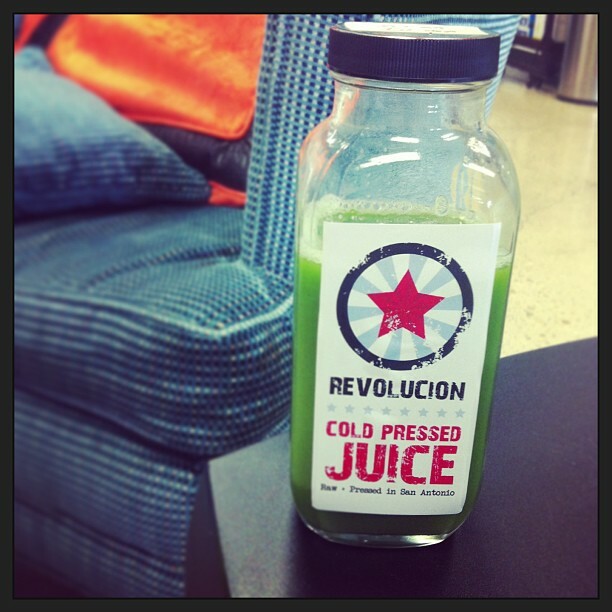 After our run, we headed over to Revolucion to try their juice and coffee. 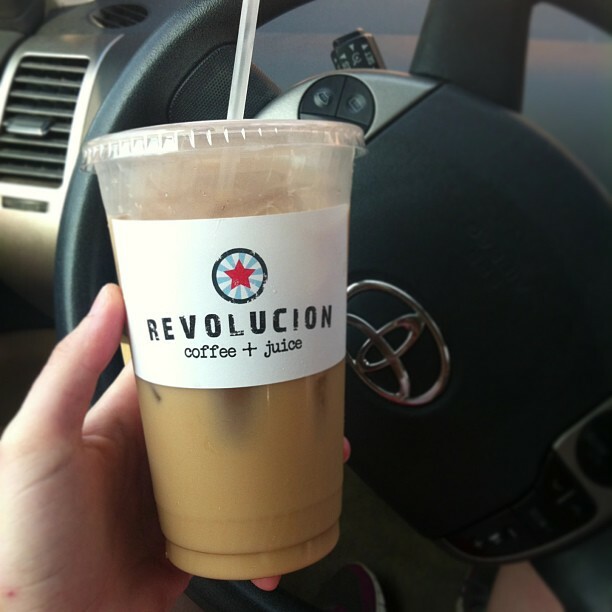 I’ll post more about Revolucion later, but let me just say, the iced coffee might be the best thing I’ve ever tasted. Seriously, if you love iced coffee, you should check it out. After purchasing our second round of iced coffee at Revolucion (yes, we did that), we headed home for showers and waited for my parents to arrive. We chatted for a bit before heading to the Rim for lunch. The guys had a golf game at La Canterra that afternoon so we wanted to eat near there. While the guys played golf, the girls hit up the shops and actually got away without too much damage thanks to some great sales and gift cards. I scored a great pair of sandals from Urban Outfitters for ten bucks. Can’t really beat that. Mid-afternoon we headed to Local Coffee on Broadway. Sara and I love going around to local coffee shops and since Local Coffee is one of my favorites, I couldn’t wait to show it to her. She, my mom, and I each grabbed a cup of iced coffee (seeing a trend here?) and sat for a few moments before realizing that we really needed something sweet to go with our afternoon coffee. 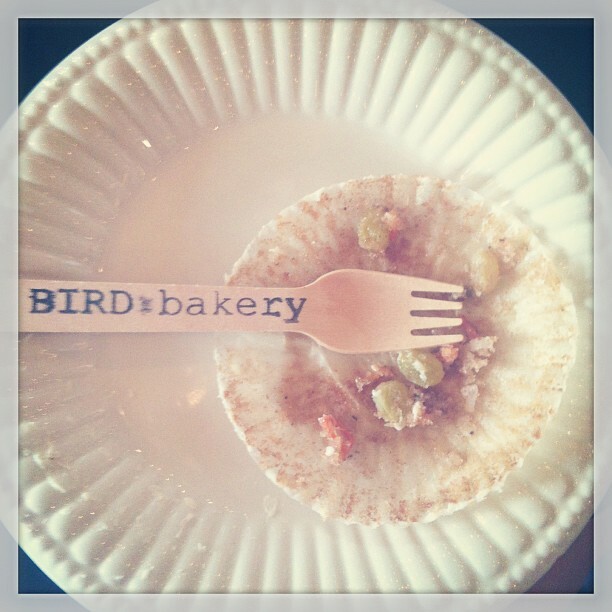 We decided to head right across the street to Bird Bakery, a new favorite of mine, for some tasty cupcakes. 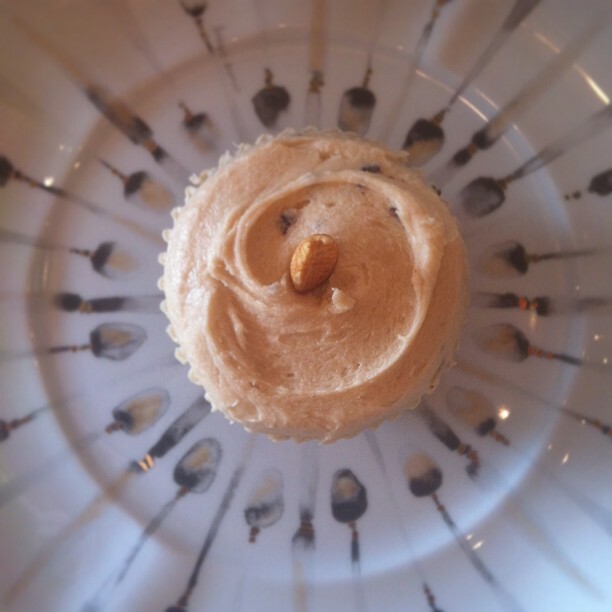 I’ll write more on the bakery later, but know that the cupcakes are amazing…and so moist…and the little shop is just about the cutest thing ever. 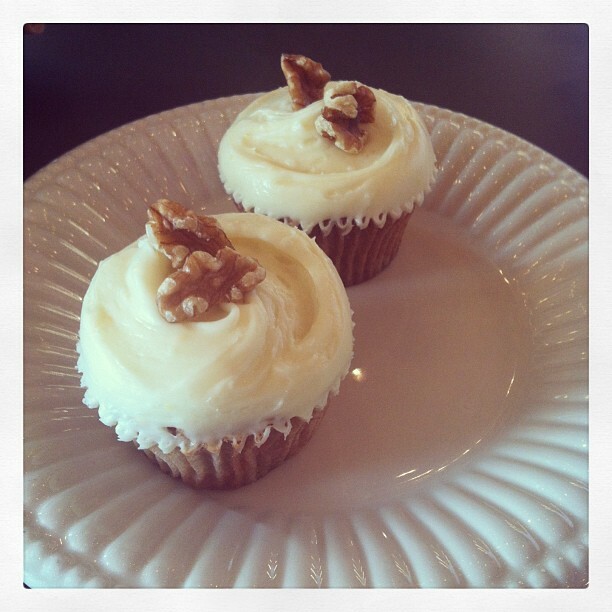 Sara ordered a chocolate peanut butter cupcake (I think), and my mom and I both tried the carrot cake cupcake. They were both equally amazing. We returned home after our afternoon treat and waited for the guys to get home from golf. When they did, my parents left so they wouldn’t get home too late, but Robert, Sara, Matthew, and I celebrated their last evening in San Antonio with dinner at Paloma Blanca. It was such a fantastic week with Sara and Saturday was the perfect ending. What’s even better? We’re both in Bellville this week…another full week together. My heart is full.